This article focuses on the use of PRP for mobility issues, but it's also used for hair growth and cosmetics. In a point-/counter-point article that was recently published in the Strength and Conditioning Journal Morey J. Kolber, professor at Nova Southeastern University, and Paul A. Salamh, assistant professor at the University of Indianapolis discuss the usefulness of PRP for different joint/ligament issues ranging from the proverbial Achilles heel to the often overused rotator cuff - with additional references and illustrations, their paper consitutes the backbone of this brief research update. Whether PRP works is not a "yes-or-no"-question. As Kolber points out, "additional factors such as the type of injury and outcome of interest (e.g., pain, function, and tissue healing) must be considered" (Kolber & Salamh 2019). To this ends, scientists would have to identify those injuries and athletes, as well as other patient groups who will benefit most/at all from PRP treatments, as well as to evaluate, whether the "published outcomes are comparable with an alternative intervention, consideration of risk and cost may lead to an individualized decision" (Kolber & Salamh 2019). The experimental evidence we'd need to make definite statements, however, is not yet available. Hence, the information in the next bullet-point must be considered preliminary. 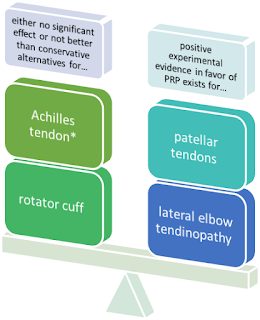 Figure 1: The most convincing data of benefits is that on patellar tendons seem, whereas the results in the Achilles tendon do not justify the application of PRP. The efficacy for the treatment of rotator cuffs "are still too limited to provide viable indications" (Filardo 2018), but... in patients with lateral elbow tendinopathy, there were improvements in most of the high-level studies (based on the results of a systematic review by Filardo et a. 2018). *useless independent of whether it's used in conjunction with conservative or surgical treatments. For tendon-related disorders (overuse or acute), Filardo et al. found no general, beneficial effect based on their 2018 systematic review of 50 studies. They did, however, do what Kolber demands in the debate, they considered different tendon disorders and found that "the patellar tendon seems to benefit from PRP injections, whereas results in the Achilles tendon do not justify the application of the evaluated platelet concentrates, neither conservatively nor surgically" (Filardo 2018). Mixed results were observed when the scientists limited the scope of their analysis to rotator cuff and elbow tendinopathies. And, the previously-hinted-at comparison of PRP treatments to conservative and/or surgery-based treatments are rare. Those that exist, such as studies of PRP use for lateral elbow tendinopathy "showed an improvement in most of the high-level studies, but the lack of proven superiority with respect to the more simple whole-blood injections still questions its use in the clinical practice" (Filardo 2018). Best practice: If it works for the patellar tendon, how effective is PRP, exactly, and how often does it have to be applied? 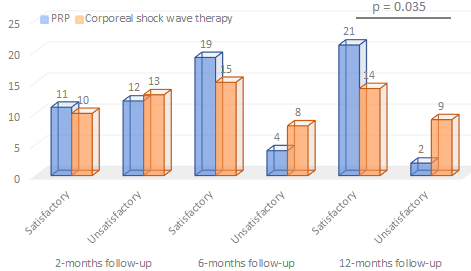 When it was combined with surgical intervention, "a better pain control was documented in the initial post-op phases and, at 6-month follow-up [even after a single injection], MRI evaluation showed also a better tissue healing after PRP administration in the harvest site" (Filardo 2018). Used as part of conservative treatment, benefits were observed for PRP often after a single, most consistently, however, in response to 2-3 bi-weekly treatments. Another question that has been debated back and forth is when to start the PRP treatment - specifically for acute injury recovery. In her editorial from 2010, Kimberley Harmon comes to the conclusion that "PRP should not be administered in the first 24 h after injury" (Harmon 2010). Her rationale, however, i.e. that one would better "limit the ‘secondary injury’ using traditional means of controlling inflammation, namely compression, elevation and ice" leads us back to the still unresolved hormesis"-debate, I will briefly discuss in the context of high vs. low leukocyte preparations in the next section of this research update. Overall, a statement from 's paper on "Best Current Clinical Practice" does yet still apply: "The best PRP formulation and treatment regimen cannot be deduced from the present state of the art" (Andia & Mafulli 2015). So, yes, additional research is needed to determine not just the optimal time-point, bus also the optimal leukocyte-content, processing techniques, injection-intervals and -volume, etc. - but hey, I will keep you in the loop. Practitioners are asking themselves rightly: "Do I minimize, maximize or retrain the white blood cells aka leukocytes from an inflamed patient to avoid, maximize or modulate inflammation?" A simple answer to this question would probably be insufficient - after all, a recent study by Mariani et al. 2016 found no effects on markers of inflammation before and after the injection of the allegedly pro-inflammatory high leukocyte PRP in thirty-six OA patients. This result refutes previous "in vitro studies, where a cellular pro-inflammatory response appears to be induced by the presence of leukocytes - whether that's for better (inflammation => healing) or for worse (inflammation => further destruction) is unknown, though, and in view of the fat that the presence leukocyte-rich PRP doesn’t induce a relevant change in pro-inflammatory mediators", as Mariani et al. report in their 2016 paper it could well be completely irrelevant. Hence, it stands to be tested in humans if and to which extent the white blood cells should be reduced, removed, or modula-ted before injecting the PRP - also according to the body part where it's used. In osteo-arthritic knees, for example, there is initial evidence that the low leukocyte variety may (despite identical effects on inflammation) lead to slightly better functional outcomes (Riboh 2016). 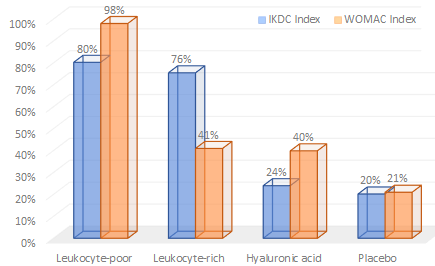 As Figure 3 shows, the advantage is small for the IKDC scale, and surprisingly large for WOMAC (McConnell 2001), which ranks placebo #2 with a SUCRA of 41% in front of 'regular' leukocyte-rich PRP. When inflammation is involved, SuppVersity readers will ask themselves: Do I want to avoid cooling and NSAIDs when using PRP? Keyword: hormesis. The answer is, as it is the case for the whole "anti-inflammatory substances blunt your gains"-issue, still in the open. As Kolber points out, "NSAIDs may allow individuals to be more comfortable during the initial inflammatory phase and is likely to promote earlier movement after a PRP injection" (Kolber & Salamh 2019). But what about the repair-processes? Well, we don't know that yet - in studies in canines, it seems as if NSAIDs were no problem. The situation for cryotherapy is similar. Just like NSAIDs, ice-baths and co are often used in the post-injury period and thus the week(s) during which PRP is supposed to do its magic it seems to help deal with acute symptoms without affecting the healing process - "several studies have used some form of cryotherapy after a PRP injection with positive outcomes " (Kolber & Salamh 2019). On the other hand, Kolber rightly cautions that "there is [neither] conclusive evidence to preclude use [nor evidence that would allow us to] state with absolute certainty that ice is responsible for improved outcomes" (Kolber & Salamh 2019)... as usually: more research is necessary. So what's the verdict then? As so often, the answer to the question "Are PRP injections worth it?" depends on several confounding factors: injection/injury site, leukocyte-content, number and frequency of treatment, the overall quality of the PRP, etc. The crux of the matter is - likewise, "as so often" - that these parameters may well interact with each other, with leukocyte-poor PRP offering benefits when used for the 'classic' osteoarthritis of the knee that were not observed for other injection sites. Overall, there is accumulating evidence in favor of the use of PRP in acute muscle injuries (Harmon 2010; Andia 2011; Hamid 2014) While generally "promising" (Arshdeep 2014), research on PRP in dermatology and aesthetic medicine (check out my article about hair loss = alopecia; also worth mentioning are applications for skin rejuvenation, avoiding or fixing scars and contour defects, stretch marks, and others) is still in its infancy. What should I remember at this point, then? Well, as Kolber points out in what is probably the latest review of the literature (Colber 2018), PRP is an autologous blood product that is processed and injected into the site of injury or pathology: It derives its healing properties from growth factors (GFs), fibroblasts, cytokines, and chemokines in supraphysiological concentrations that harness the body's natural healing process; the latter involves neovascularization and increases blood supply necessary for the proliferation and differentiation of cells that promote tissue regeneration; contemporary clinical evidence identifies PRP as a potentially beneficial intervention for tendinopathy, osteoarthritis (OA), discogenic pain, and acute muscle injuries; PRP has an excellent safety profile and requires little to no downtime from activity; and PRP is typically not a service covered by insurance (Kolber 2018) | Comment on Facebook! Andia, Isabel, Mikel Sánchez, and Nicola Maffulli. 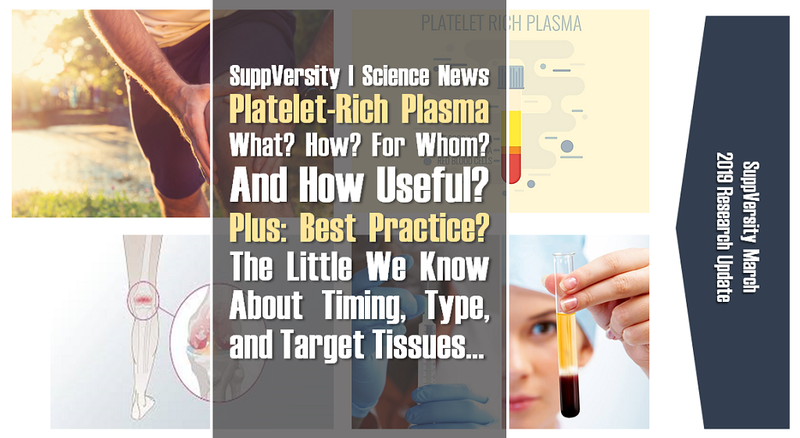 "Platelet rich plasma therapies for sports muscle injuries: any evidence behind clinical practice?." Expert opinion on biological therapy 11.4 (2011): 509-518. Andia, Isabel, and Nicola Maffulli. "Use of platelet-rich plasma for patellar tendon and medial collateral ligament injuries: best current clinical practice." The journal of knee surgery 28.01 (2015): 011-018. Arshdeep, Kumaran M. Sendhil. "Platelet-rich plasma in dermatology: Boon or a bane?." Indian Journal of Dermatology, Venereology, and Leprology 80.1 (2014): 5. Filardo, Giuseppe, et al. 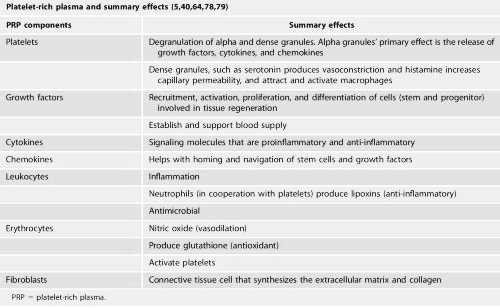 "Platelet-rich plasma in tendon-related disorders: results and indications." Knee Surgery, Sports Traumatology, Arthroscopy 26.7 (2018): 1984-1999. Hamid, Mohamad Shariff A., Ashril Yusof, and Mohamed Razif Mohamed Ali. 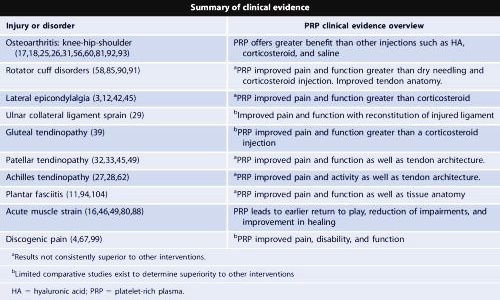 "Platelet-rich plasma (PRP) for acute muscle injury: a systematic review." 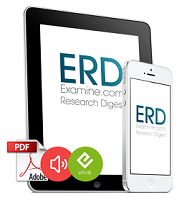 PloS one 9.2 (2014): e90538. Harmon, Kimberly G. "Muscle injuries and PRP: what does the science say?." (2010): 616-617. Kolber, Morey J., et al. 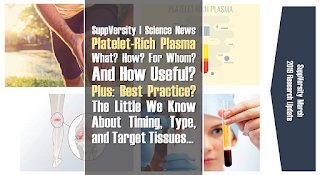 "Platelet-Rich Plasma: Basic Science and Biological Effects." Strength & Conditioning Journal 40.5 (2018): 77-94. Leo, Michael S., et al. "Systematic review of the use of platelet‐rich plasma in aesthetic dermatology." Journal of cosmetic dermatology 14.4 (2015): 315-323. Mariani, Erminia, et al. "Leukocyte-rich platelet-rich plasma injections do not up-modulate intra-articular pro-inflammatory cytokines in the osteoarthritic knee." PloS one 11.6 (2016): e0156137. McConnell, Sara, Pamela Kolopack, and Aileen M. Davis. "The Western Ontario and McMaster Universities Osteoarthritis Index (WOMAC): a review of its utility and measurement properties." Arthritis Care & Research: Official Journal of the American College of Rheumatology 45.5 (2001): 453-461. Vetrano, Mario, et al. "Platelet-rich plasma versus focused shock waves in the treatment of jumper’s knee in athletes." The American journal of sports medicine 41.4 (2013): 795-803. Riboh, Jonathan C., et al. "Effect of leukocyte concentration on the efficacy of platelet-rich plasma in the treatment of knee osteoarthritis." The American journal of sports medicine 44.3 (2016): 792-800. Salanti, Georgia, A. E. Ades, and John PA Ioannidis. "Graphical methods and numerical summaries for presenting results from multiple-treatment meta-analysis: an overview and tutorial." Journal of clinical epidemiology 64.2 (2011): 163-171.